Take flight with the Brotherhood of the Griffin - Richard Lee Byers’s most celebrated characters. 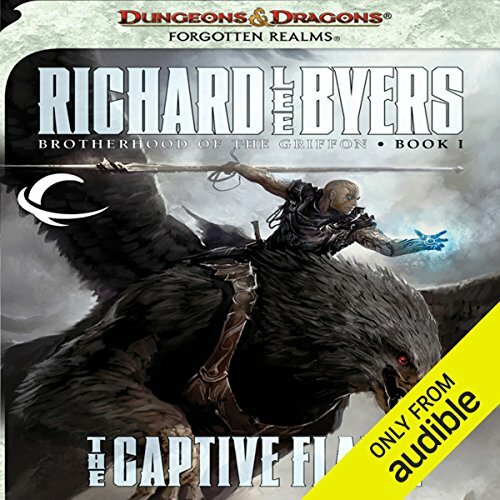 The Captive Flame features the return of popular character Aoth and his mercenary band, the Brotherhood of the Griffin, introduced in Richard Lee Byers' trilogy The Haunted Lands. 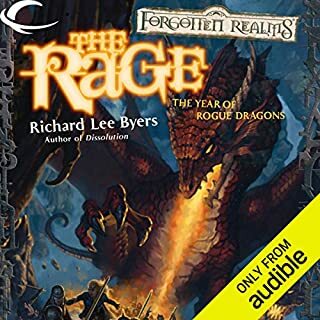 Byers's signature twisted plots make this a must-have for all true Forgotten Realms fans. 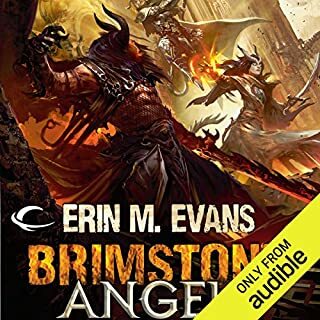 Aoth and his band of mercenaries, the Brotherhood of the Griffin, are hired to put a stop to a disturbing series of ritualistic killings. 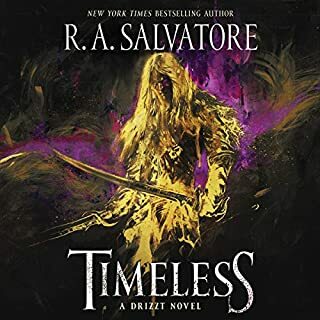 While they manage to defeat the perpetrators, Aoth can't seem to shake the feeling that there's more to these mysterious murders than meets the eye. Still, he resists the urge to investigate. After all, it's just business. Until an assassin's knife almost finds a home between his shoulder blades, and Aoth finds himself tangled in a lethal web of intrigue. What did you like best about The Captive Flame? What did you like least? I like how Aoth continues to be his awesome self. The idea of this unique sellsword company is what brought me to the series. Would you recommend The Captive Flame to your friends? Why or why not? No. 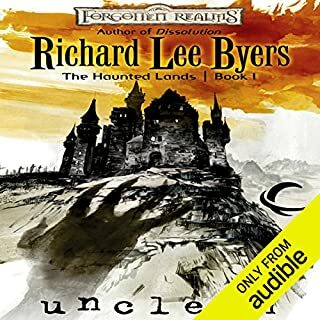 The Haunted Lands trilogy was most excellent. 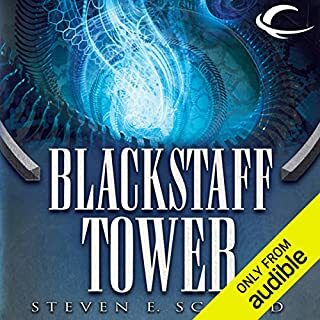 I'm halfway through the third of this series and I find myself frustrated with how maddeningly dumb and jerk-ish the rulers of the lands are. The Brotherhood is routinely treated like some random band of thugs, but they are clearly several cuts above normal mercenaries. The series gets worse about this and later. Somehow the protagonists are...incapable of defending their points or bringing up valid information to leaders of nations. Meanwhile, there is literally some insufferable vizier of some kind constantly insulting them and filibustering everything they say while the good guys stand dumbfounded. A lot of trouble could have been avoided had Aoth told them to shut up. Do you think The Captive Flame needs a follow-up book? Why or why not? It has four, and they're okay. I think the autor did not know what to write about when he started. I honestly had a really hard time remember all the characters and the story. For being the first book in the series I thought they would explain a little more about the characters, setting etc. i.e. there are griffons and they can talk? What. 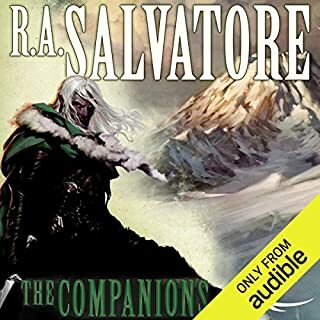 This audio book was extremely complex and difficult to follow; intricately folded, twisted and coiled. Requires alot of patience and stern commitment. The story was a little more than weak. The author's performance however, was exceptional.